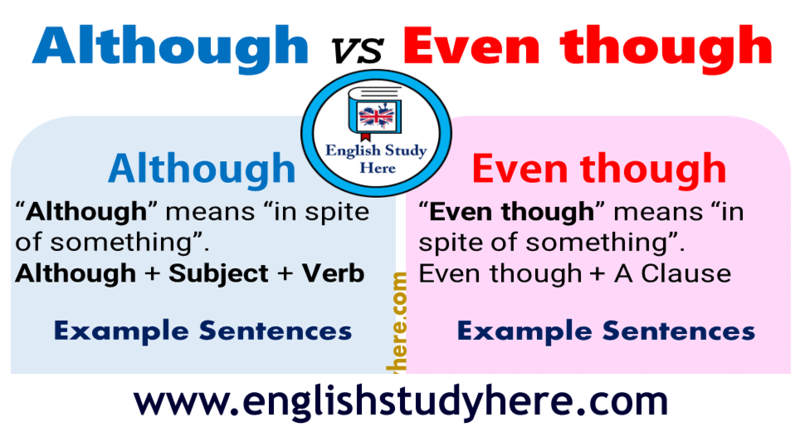 “Although” means “in spite of something”. Althoughit rained all day, we enjoyed the football match very much. She failed in the math exam, althoughshe studied very hard. Althoughhe ran very fast, she lost the final race. Althoughhe is rich, he has no girl friend. Althoughstudying French seems difficult, it’s simpler than you think. 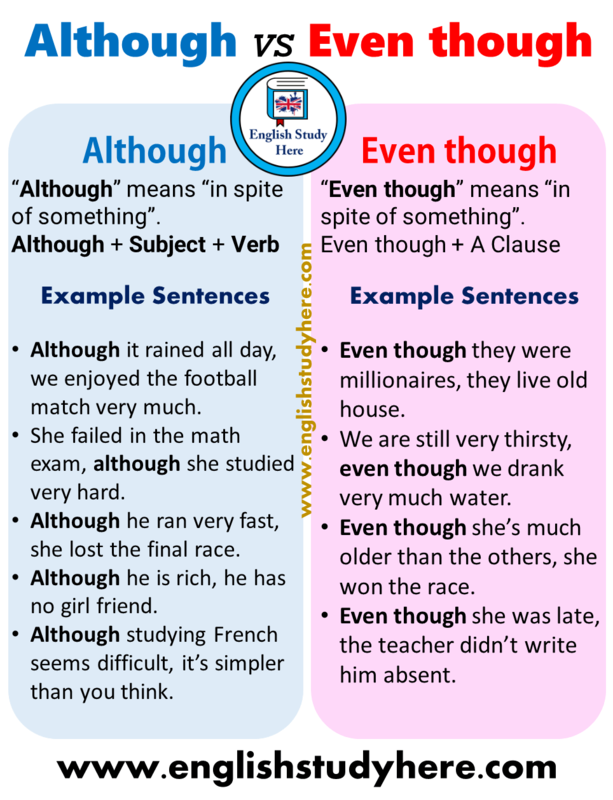 “Even though” means “in spite of something”. Even though they were millionaires, they live old house. We are still very thirsty, even though we drank very much water. Even though she’s much older than the others, she won the race. Even though she was late, the teacher didn’t write him absent.